These pads are the original Alcon pads provided in your Jeep JK Wrangler braking kit. 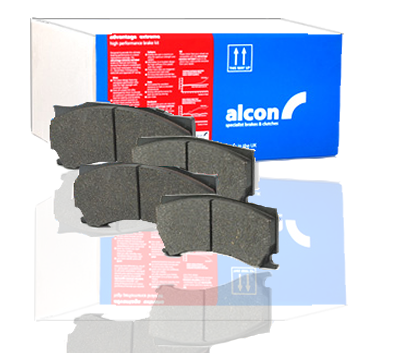 Alcon has designed a 30% larger pad allowing for less work needed per pad surface area resulting in lower temperatures and more braking torque. This compound reflects the knowledge and experience gained from miliary and VIP protection vehicles over the years. Performance & Durability, often in uncompromising surroundings, are pre-requisites for Armored Vehicle braking solutions. Other Alcon customers including the UN, have come to expect and rely upon their performance and reliability.Alcon has designed tried and tested packages using its extensive Motorsport and Performance OEM experience to solve the unique demands associated with the higher GVW of armored vehicles.